In 2006 father and son John and Lewis Parkes set on a journey to fulfil their dream to start a home grown micro brewery. 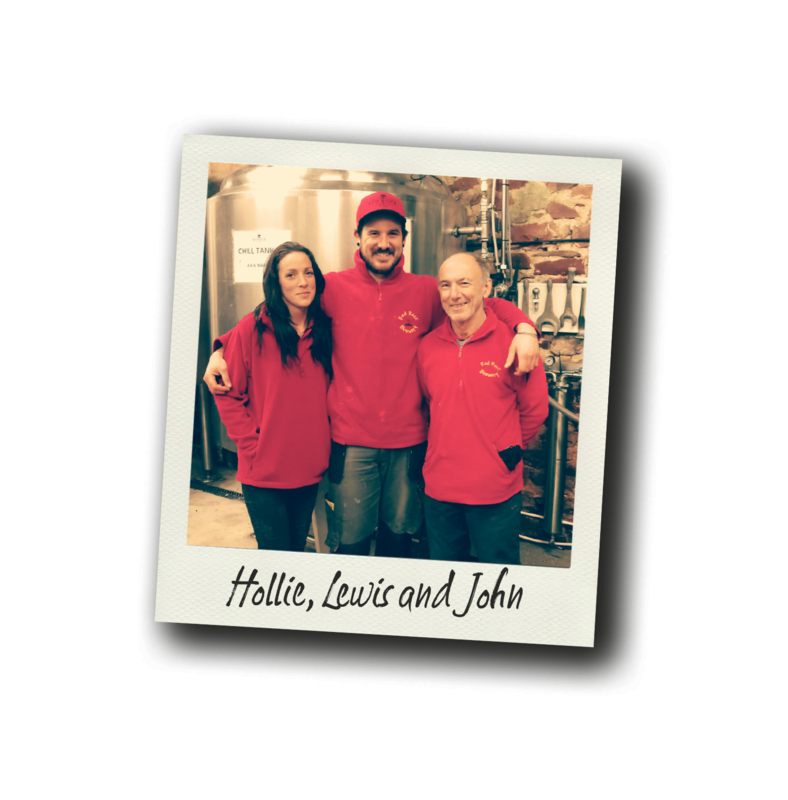 Both are passionate about beer and with John’s experience of home-brewing alongside Lewis’ knowledge as a former brewer, Red Rock Brewery was born. Our location was as important as the beer itself and with the generous support of local farmers Geoff and Joe Lang at Higher Humber Farm, Red Rock’s first beer was brewed in an old barn. Based in a quiet corner of sleepy south Devon, nestled in the hills outside Bishopsteignton, we make our extensive range of traditional cask real ales, using not only the finest natural ingredients but also the farm’s pure spring water. It is this that gives our beers their individual characters. As the business grew, John’s daughter Hollie joined the team, helping to drive the growth and ambition of the brewery forward. This gave time to add more strings to our beer bow, allowing the brewery to expand its capacity and produce the more recent additions of the new Craft and Slow ranges of keg and bottled beers. A decade later and continuing to expand, Red Rock Brewery’s ethos for brewing the finest and innovative beers remains at the heart of what we do.